Its been a while since I had anyone on the Across My table Table series. Its a column where I do small interviews with visiting chefs to the city. 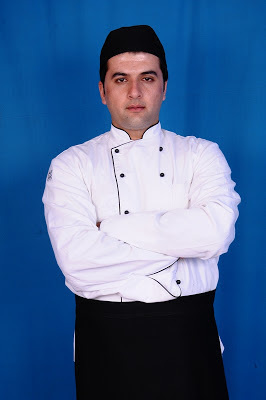 In this post, I managed to speak to Chef Zermaty, a 29 year old chef who is visiting the city to helm an Afghani food festival at the Lalit Ashok. An Afghani by birth, Chef Zermaty's love for cooking began quite naturally, at his mother's table back home. Armed with memories of authentic flavors, he honed his skills over the years and also immersed himself in the culture of his land - a perfect way to understand the history behind each of the dishes. The very term Afghani cuisine has an exotic ring to it and I asked Chef Zermaty, what the influences are for this cuisine. Turns out its from multiple nations - Northern India, Pakistan, Iran, Kazakhistan, Uzbekistan to name a few, he said. 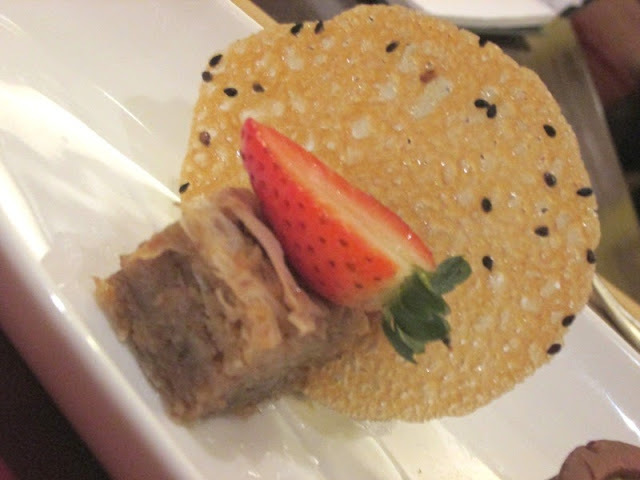 The food is a mix of vegetarian and non-vegetarian dishes, with the emphasis primarily being on meat. 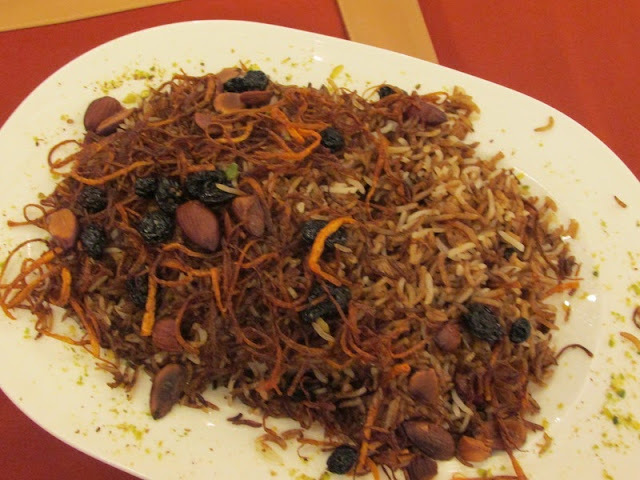 Kabuli Pulao is a rice preparation made with caramelized water for the brown color and then infused with four kinds of dry fruits - pistas, dry raisins, almonds and cashews. It is finished off with deep fried thin slices of carrot. The rice and the meat are prepared separately and then placed together for the final part of the cooking, much like the dum biryanis we know, but with a completely different outcome. This is a dish that is prepared for all occasions. We all have some traditional cooking styles associated with our cuisines and so do the Afghans says Chef Zermaty. Winters are extreme in the region and therefore there is a lot of use of dried meat or Landi as it is known used. It helps provide the body with the necessary heat. The Dastarkhan, is a traditional spread that is laid on the floor, especially when guests come. Having the right set of dishes laid out is extremely important to every family. Emphasis is laid on giving the guests easy access to the best dishes served. So what forms a traditional meal in an Afghani household was the natural next question. The use of meat, especially mutton is extensive in most homes. 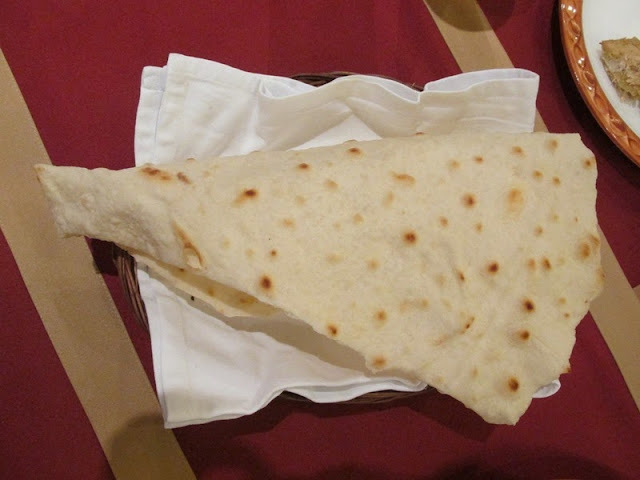 Almost at every meal, the naan, made in a tandoor is an important part of the meal. 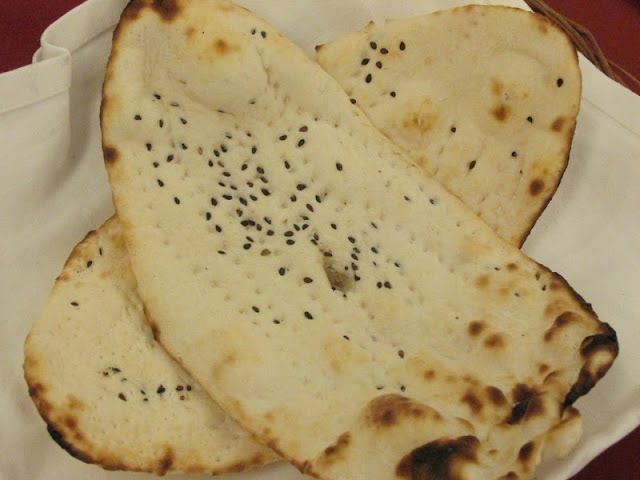 These are no where close to the naans we see here in India, chuckles Chef Zermaty. They are usually around 30 cms in diameter and go up to half a meter in size. Weddings and celebrations will definitely have the Kabuli pulao as the center of attraction. There will be the mutton do pyaza, made with a lot of onions and on the slightly sweeter side, for a gravy. The Sirka Pyaz Murgh also makes an appearance. This is an Afghani stew with onions and vinegar. Kebabs are made of an entire lamb leg and there is also the Sultani Murgh - where an entire chicken is stuffed with dry fruits and then grilled. 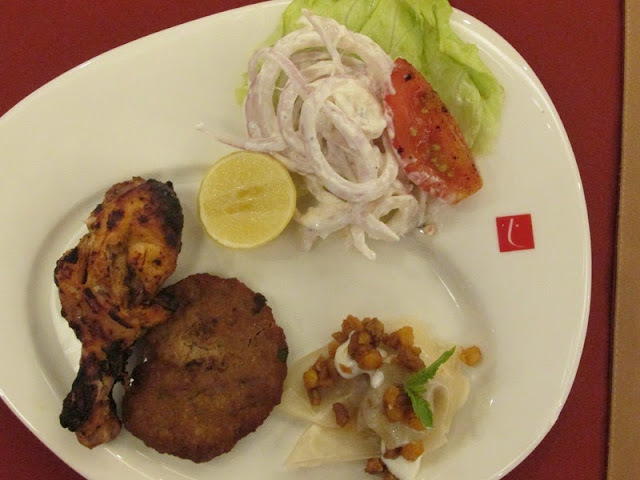 Kebabs of chicken and mutton are also a part of celebratory meals. This naturally means that the Afghans are finicky about their ingredients and what goes into their food. Chef Zermaty couldn't agree more. Staples in an Afghan kitchen, he says are pure zeera, which I believe is very different from the slightly pungent cumin that we get in India. Also dried green chilli powder is common as is garlic powder and Kashkash or poppy seeds. Afghani food, he explains cannot really be compared with any other cuisine despite the influences being there. The food though rich, is not spicy and at times can even be described as plain. So with such a rich culinary heritage, what could possibly be Chef Zermaty's most memorable meal (of course I gave him the option of choosing outside his specialty) - surprisingly, the answer is the Butter Chicken he tasted when he got to Mysore. Its a dish he is most fascinated with and enjoys. So then I must ask, if Chef Zermaty were entertaining guests at home, what would find its way to his table. Of course, the Kabuli Pulao without doubt, he said. Next would be the Bolani - somewhat similar to the dosa, but made with flour, served with potatoes and a coriander chutney. He would also have some Mantau - which can be made with chicken or mutton. A variation of a dimsum, Mantau is served topped with dal and yogurt. And can we finish a meal like this without a sweet - baklava will definitely be on the cards as will Sheer Berinj, an Afghani sweet rice pudding. The Dastarkhan-e-Kabul is currently on at Baluchi at the Lalit Ashok up to July 10th for dinner only between 7.30PM and 9.30PM. The vegetarian spread is priced at Rs 995 + taxes and the non-vegetarian meal is Rs 1195 + taxes.